Apartments and cottages in peaceful and well-managed residential complexes with swimming pool, garden and parking , located near the town and the lake, or surrounded by nature in the beautiful morainic hills (max distance from the lake 1,5 km). We manage and care the real estates directly: we give particular attention to cleaning and comfort, furnishing the properties with every equipment in order to guarantee a very comfortable stay. The period of lease can be weekly, montly, or yearly with the possibility also of not furnished units for long term rents. Residential complex near the town centre and just 300 mt. from the lake side, with parking, pool and wide park. Accommodation for 2-8 persons. 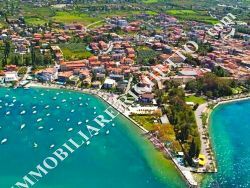 Located in a peaceful area, on the hills, just 1 km from the town-centre and from the lake side with communal pool,garden, view on the lake. Accommodation for 2-6 persons. 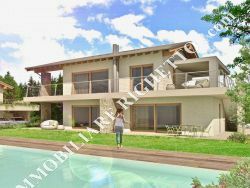 Residence directly on the lake, just 100 mt from the town centre, with pool, garden, and parking. Accommodation for 2-6 persons. Elegant and well furnished apartments with private garden and big terraces with lake view and mansard. Parking place in the garage. 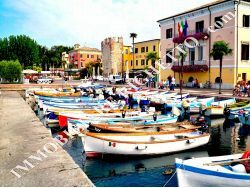 RESIDENZA PRAGRANDE - NEW for summer 2019!! New and small residential complex located in quiet area, with pool and lake view. 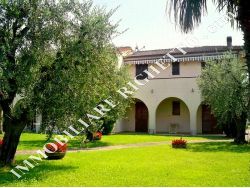 on the groundfloor with tidy private garden and on the 1st floor with big terrace and lake view. Various possibilities of comfortable apartments with or without pool, garden and parking. Accomodation for 2-8 persons. 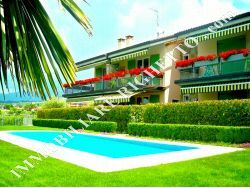 Set in residential complex, near the town-centre, in peaceful areas with private garden, parking, residential pool and lake view.